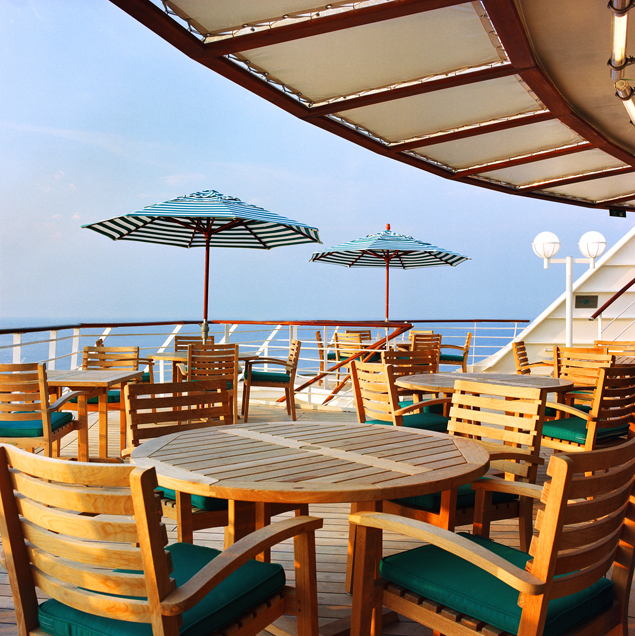 The Crystal Serenity is one of the finely-appointed ships of the Crystal Cruise fleet. 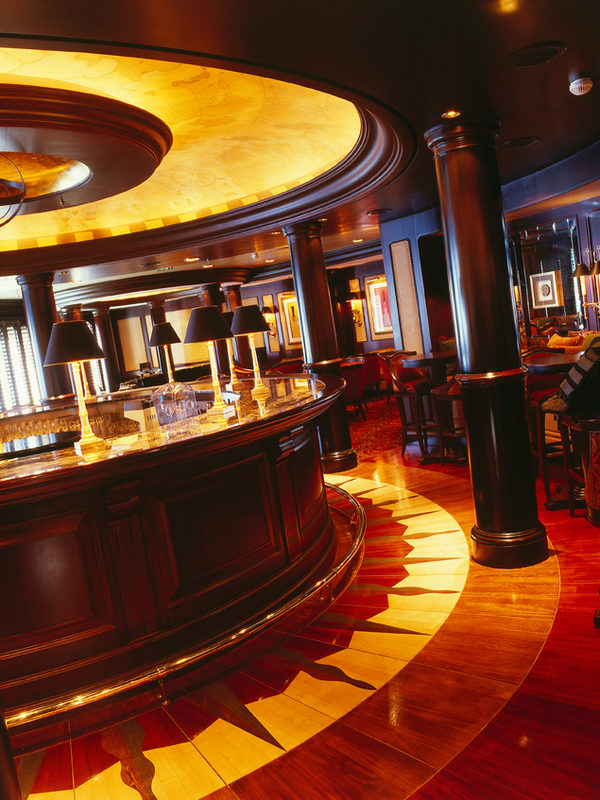 As an ambassador for the Crystal Cruise tradition of providing luxurious, elegant cruising, this fine vessel lives up to its name! Step onboard and experience all that Crystal has to offer - a myriad of ways to relax, pamper yourself, and travel in style. 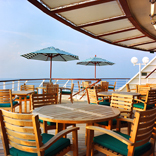 Second to none, Crystal Cruises makes its own statement with the Crystal Serenity - take a cruise that's anything but ordinary, on board a ship that is like no other cruise that you've ever seen! 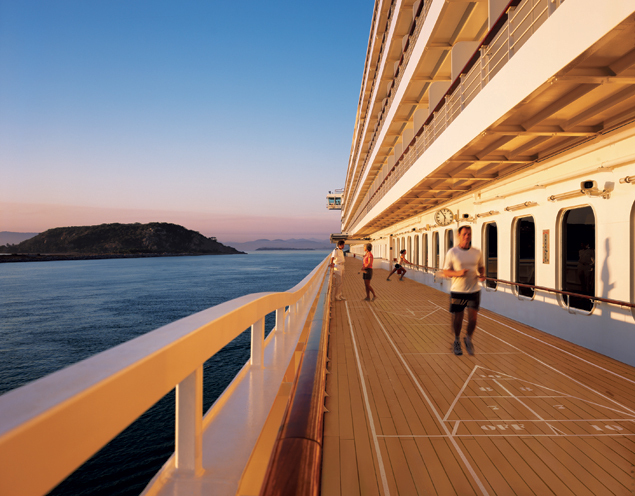 The Crystal Serenity has two swimming pools - one, located outdoors, is perfect for sunbathing and swimming laps, while the other has a retractable roof! The ship boasts a cinema, the Hollywood Theatre, which has Dolby Digital sound, as well as the Crystal Spa as an alternate way to relax. Indulge yourself with aromatherapy, have a massage, or enjoy any of the other rejuvenating treatments at this amazing spa. Head over to the Crystal Learning Institute, where you can enjoy foreign language classes, piano lessons, and much more! There's an outdoor putting green, too! 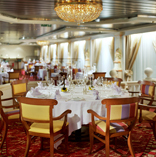 Dining on a Crystal Cruise is an intimate and enjoyable experience - and Crystal Serenity has so many options that you won't know what to eat first! 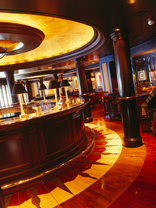 The Crystal Dining Room offers extraordinary cuisine, served in a sophisticated atmosphere; try its inventive menus and you'll enjoy the unique flavors of the world while being served by gracious waiters. The Lido Cafe is another great place to enjoy breakfast or lunch - with panoramic sea views, you can partake of breakfast buffets, luncheon buffets, and sumptuous deserts! For an outdoor lunch, head to the Trident Bar and Grill, where you can delight your palate with grills, wraps, melts and pizza - all served poolside! There is even an ice cream bar! Try Tastes, a poolside open kitchen with a lunchtime and casual evening dining menu! There is also Prego, a charming and romantic Italian spot, as well as The Bistro, a European-inspired cafe; for Asian cuisine try the Silk Road and Sushi Bar - Japanese foods are available here, as well as premium sushi, sashimi and more! The Vintage Room is the ultimate experience for wine enthusiasts - menus are created to showcase the unique attributes of each vintage wine that is served in this elegant restaurant, and you'll be treated to an experience you'll never forget! 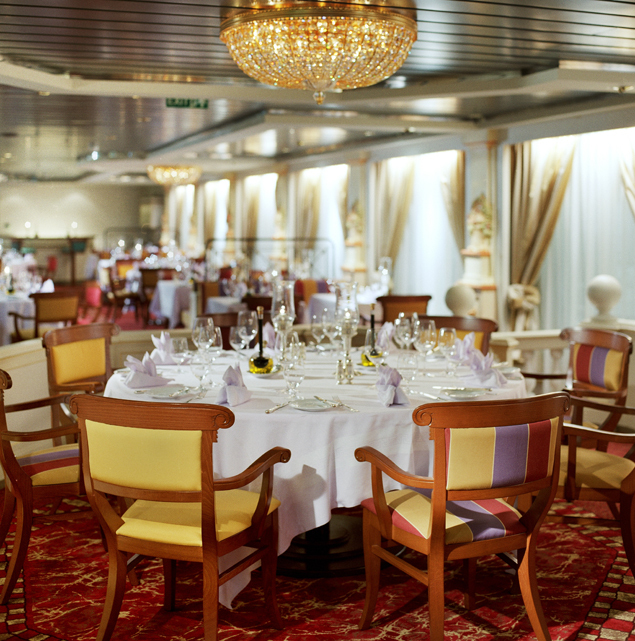 You can also enjoy themed deck buffets, room service with full menus, and even an afternoon tea service! 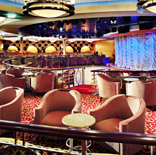 The Crystal Serenity is the home to a sparkling casino - enjoy thrilling games of chance such as Texas Hold'em poker, slot machines, blackjack, Baccarat, roulette and even craps! 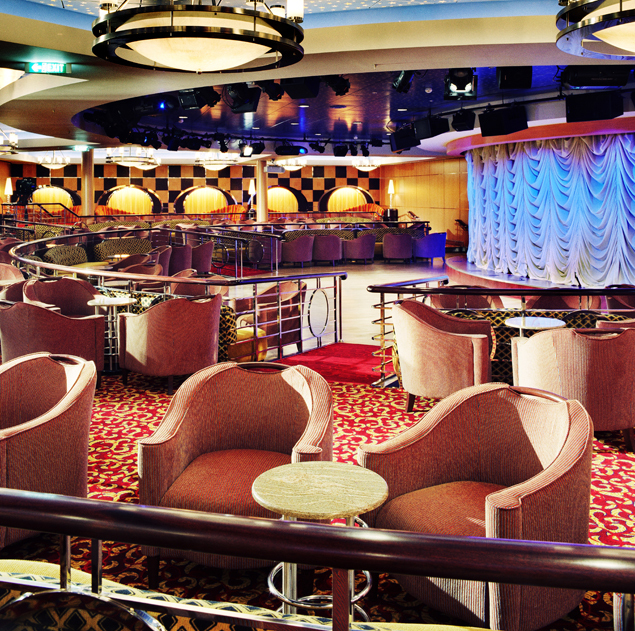 If you feel like dancing, head over to the Stardust Club or the Palm Court to enjoy before- and after-dinner dancing! 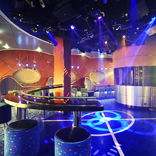 Pulse is a nightclub where you can groove to the beat late into the night, and listen to contemporary hits and make requests, too!